Are Most Sunscreen Products Giving Best Protection? That sunscreen you love might not be the sunscreen you really need. A new study in JAMA Dermatology finds many of the most popular sunscreens sold on Amazon don't provide proper protection. “There is a gap in consumer knowledge on sunscreen,” Shuai Xu, co-author and a resident in dermatology at the Northwestern University Feinberg School of Medicine, said. To understand what sunscreens people actually use compared to what they need to prevent burning, the researchers looked at the most popular sunscreens on Amazon — the top 1 percent, or 65 products. 1. Broad spectrum, meaning protection against ultraviolet A rays — which make up 95 percent of the UV spectrum and are most associated with wrinkling — and ultraviolet B rays, which cause sunburn and are stronger at midday and in the summer. Both types of rays can cause skin cancer. 2. Water resistant — no sunscreen is "water proof" but water resistant means you can go up to 80 minutes in the water before you need to reapply. By simply examining the labels, Xu found 40 percent — 26 of 65 — of the products did not meet AAD requirements. Most products that failed to meet the standards, 72 percent, did so because they were not water resistant. Related: Can Burning Solar Rays Get Through Your Car Window? “When trying to identify a really successful sunscreen product, having that feature is really beneficial,” Xu said. But he noted the study includes a wide variety of sunscreen products. Many of the popular ones are actually makeup or lotion. "You can't necessarily think of only product performance; it's got to feel nice, too." When considering sunscreen, people choose products that have “cosmetic elegance,” meaning they feel good on the skin. People eschew products that feel greasy, chalky or heavy. 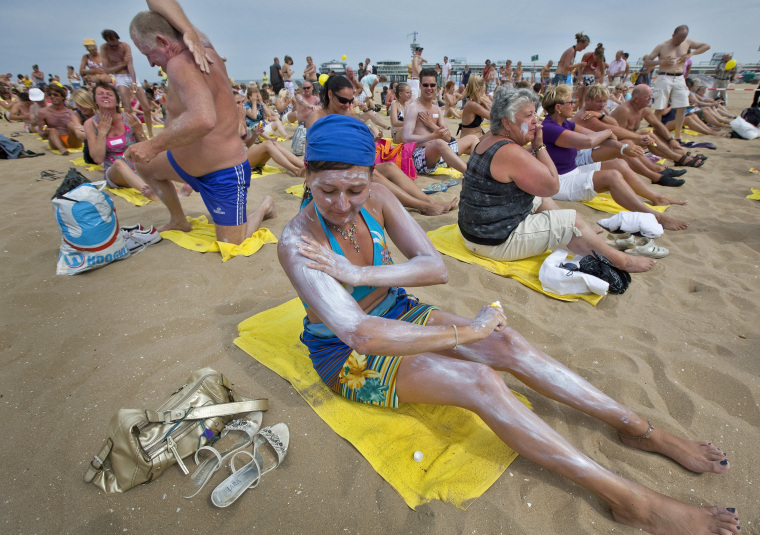 Understanding what people like remains important for dermatologists trying to encourage patients to wear sunscreen regularly. “You can’t necessarily think of only product performance; it’s got to feel nice, too," said Xu. The study did not test whether the SPF on the label matched the SPF in the product. The FDA requires companies to put their products through tests before they can claim a certain SPF, but recent reports have called labeling accuracy into question. A Consumer Reports study found 28 of 60 sunscreens tested did not match claims on the label, while a class action lawsuit alleges Banana Boat Kids SPF 50 actually only had an SPF of 12.69.